Travelling. Tea parties. Sports. Psychoanalysis. Luxury resorts. The corporate environment. What’s the common thread? The Label, by Emma O’Rourke, is creating a collection of signature pieces for modern, sophisticated and professional women. These wearable, refined and innovative garments are inspired by the unity of opposites in life—hard and soft, light and dark. Emma designs her own prints and works with minimal waste design for a more sustainable approach. The Label mixes traditional fabrics with techno-materials. Illusory Cog, by Vanessa Mifsud, takes its primary inspiration from prominent Spanish surrealist painter Salvador Dali and his collaboration with the ‘father of psychoanalysis’ Sigmund Freud. It is based around their shared idea of paranoia. These designs cross many interests and professions. Vanessa designs to empower women of all body shapes and sizes and flatter the human form. MAAK, which means to ‘make something’ in designer Charne Esterhuizen’s national language, Afrikaans, is about everyday living. This unisex, street and sports-inspired clothing is for males and females, aged 20 to 35 years, who are immersed in city life—consumers who are sophisticated, yet rebellious. MAAK’s FASHFEST 2015 collection is not necessarily made for sport, but for a strong sport’s aesthetic. Ziyah is beach couture chic at its best. Inspired by a love of sun-filled summer days at the beach, designer Erin Spain will launch a collection exotic luxury swim and resort wear with a unique edge. Ziyah is a fusion of glamour, sport, and beach leisure—innovative designs that push the boundaries between swimwear and resort wear. Erin plays with a combination of traditional and non-traditional materials and ideas. The result? Fashion that is bold, vibrant and playful. Ziyah— Model: Ilana Davies, HAUS Models. Hair: Smitten Hair. Photographer: Chalk Studio. Mimetic designs travel-specific business wear with biannual capsule collections providing female travellers with a professional, practical, stylish and durable wardrobe that fits in a 7kg-capacity suitcase. Designers George McWilliam and Melissa Pompeani create classic-inspired clothing for contemporary business women using high-quality fabrics and finishes mixed with technology including 3D and digital printing. Mimetic fashion is designed so wearers can move easily between business and social situations. This eclectic group of 2014 CIT graduates are not only busy stitching up their garments in time for their appearance on the catwalk; they’re busy learning a range of other realities vital to running a successful business in an industry that is highly competitive and, indeed, cut throat. Only the strongest survive in fashion, says Steve. 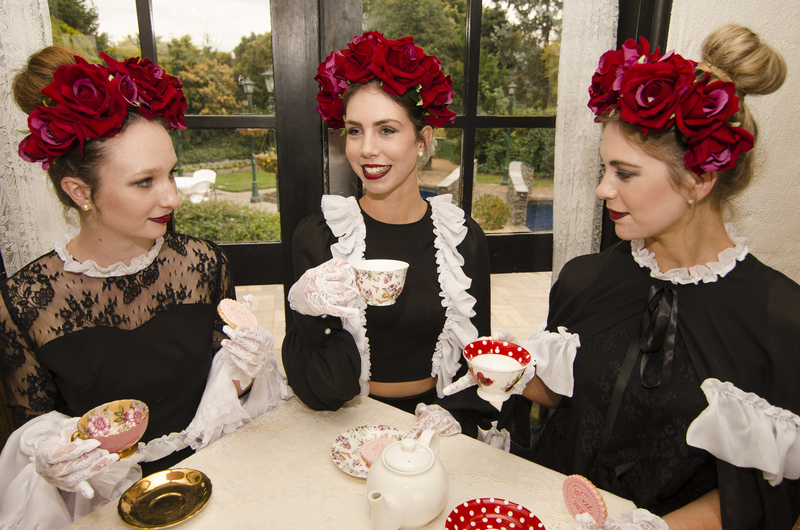 FASHFEST will be held this year at the National Convention Centre, in heated space. Shopping for what you’ll wear yet? 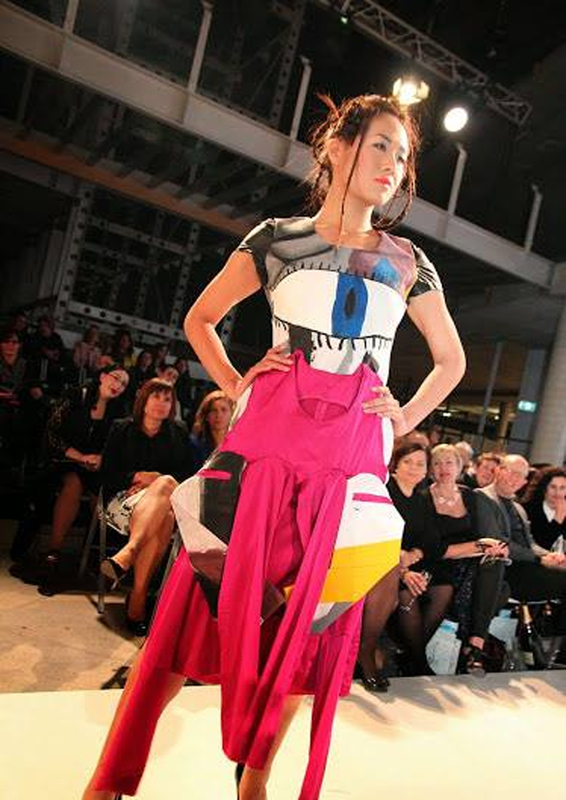 This entry was posted in LFW Style and tagged Canberra Institute of Technology Fashion Design, CIT, FASHFEST 2015, Illusory Cog, Little Jane Lane, MAAK, Mimetic, National Convention Centre, The Label, Ziyah on April 11, 2015 by gracienumber1.